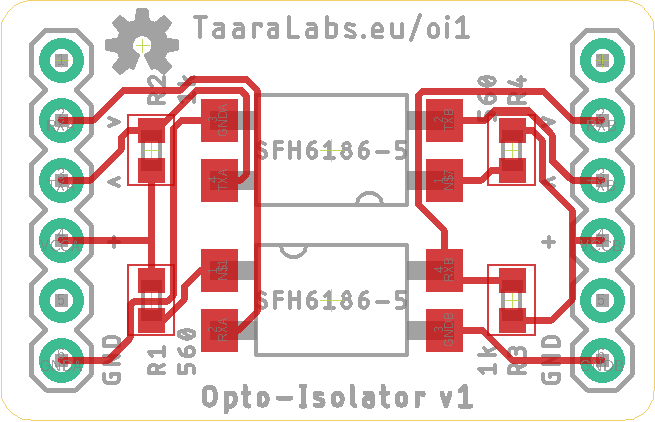 Simple Opto-Isolator board with only two channels to isolate RX and TX on UART communication lines. 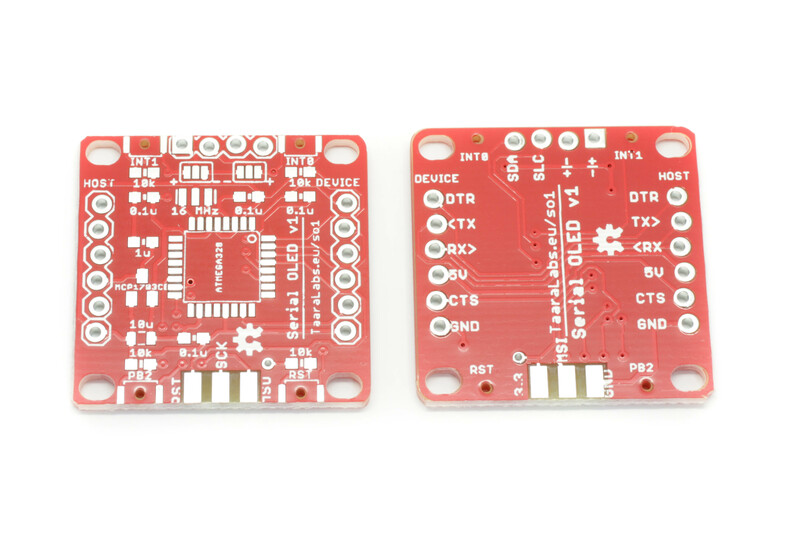 Both sides have FTDI style connectors but only GND, VCC and RX/TX are used. CTS and DTR are not connected. Also both sides need to have a separate power supply. 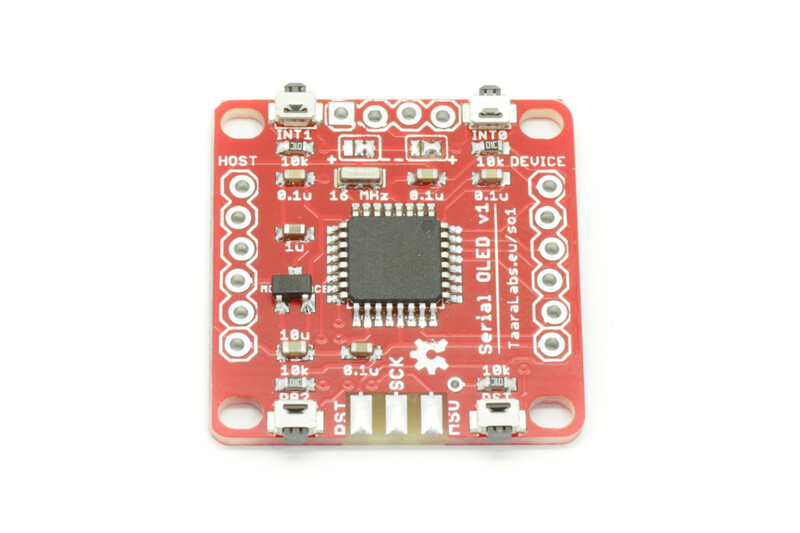 Serial OLED is a small adapter board for cheap 128×64 0,96″ OLED i2c display module and it can be used as a serial console for microcontroller projects with 3.3V logic level. One of the four microswitches is hardwired as the reset for the Serial OLED board. Other three switches are connected to the digital pins of the on-board microcontroller. 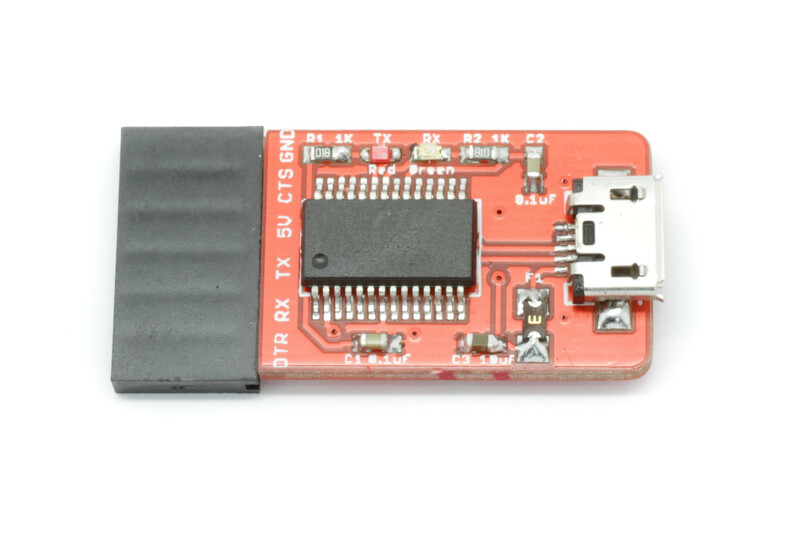 The additional FTDI connector (host) can be used to program the Serial OLED board itself. 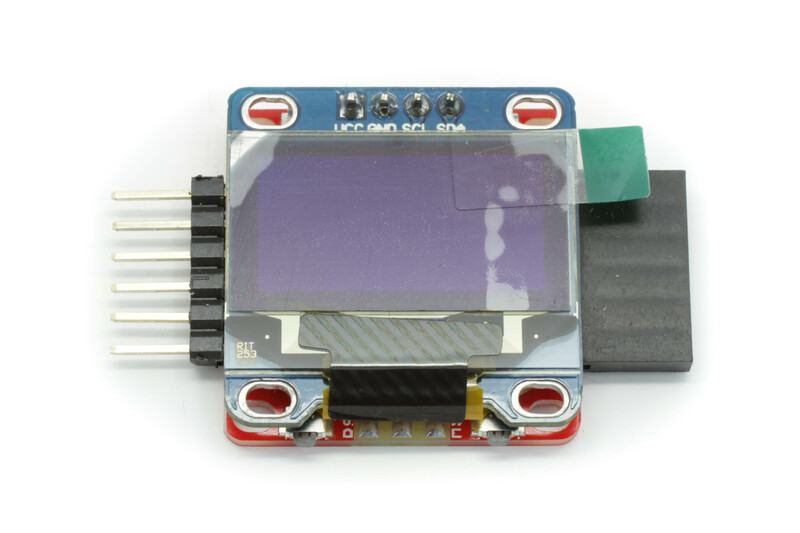 There are two popular models of cheap 0,9″ OLED displays based on SSD1306 driver IC available on the ebay. They are slightly different size (27x27mm and 27x28mm) and the supply polarity is different. 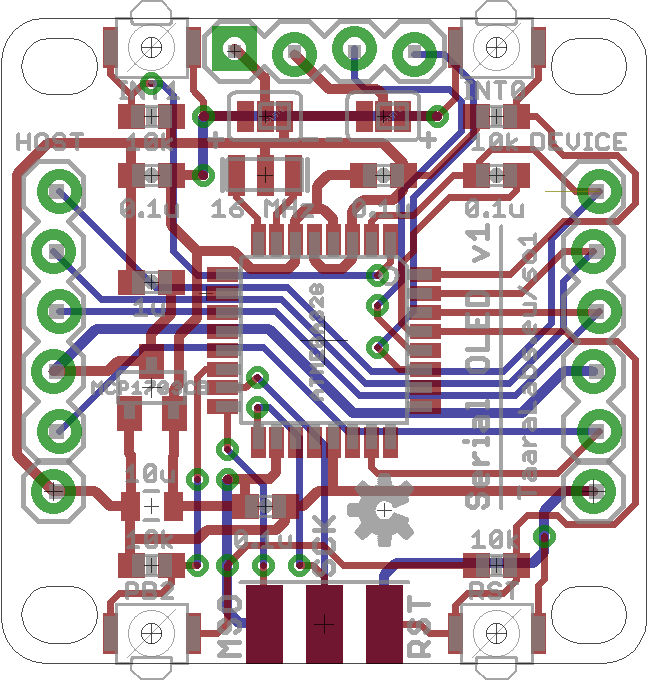 This adapter board fits both modules and the supply polarity for the OLED module can be set by the solder-jumpers. 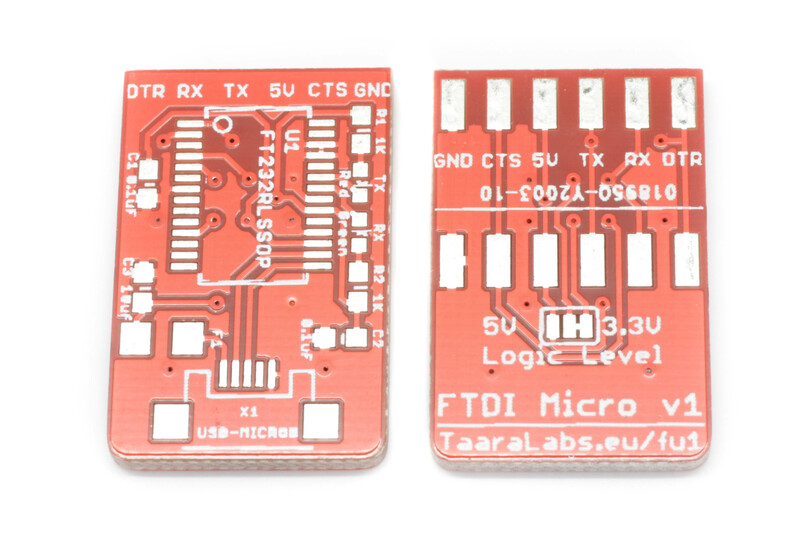 FTDI Micro is simple USB to UART serial adapter based on FT232R chip. 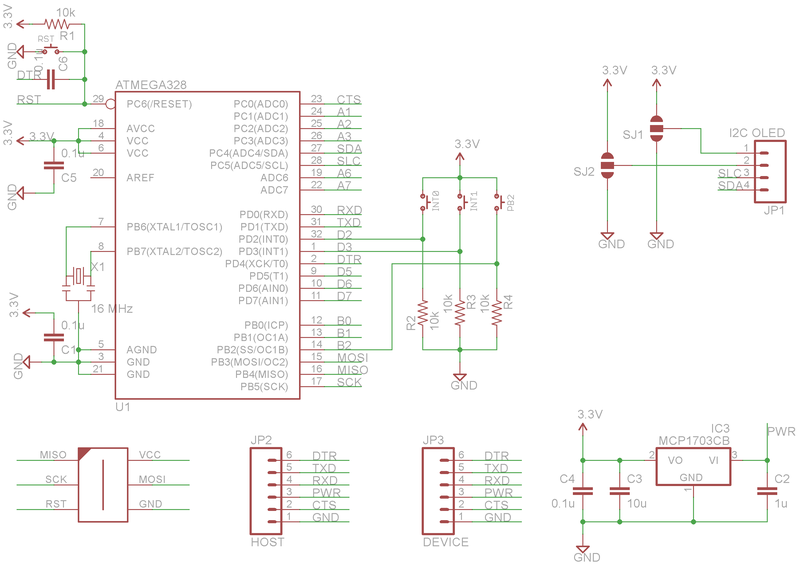 The board is pre-configured for 3.3V logic level but with the solder-jumper can be set to 5V logic level as well.